At Hutton we believe all pupils can be successful in learning mathematics and have a true enjoyment of the subject. 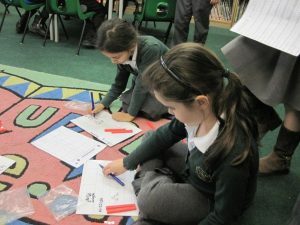 We aim to foster positive attitudes, fascination and excitement of discovery through the teaching and learning of maths and to broaden children’s knowledge and understanding of how mathematics is used in the wider world. 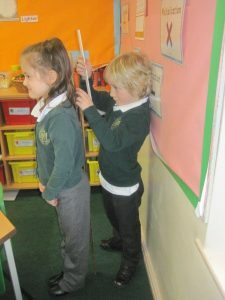 We ensure all children have access to a range of visual images and concrete practical resources, helping them to internalise a variety of visual models and develop deep conceptual understanding. 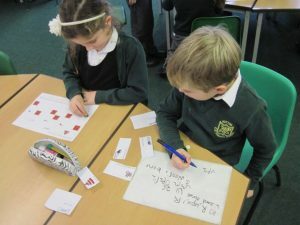 Children take part in exciting lessons, enabling them to develop their understanding of mathematics, noticing patterns and relationships in both number and shape. 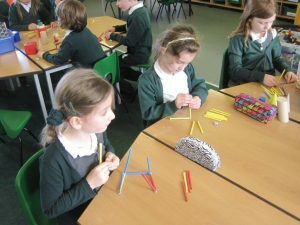 Pupils have the opportunity to build strong foundations and develop key skills. We aim to foster children’s confidence and sense of achievement while helping them to understand the relevance of this core subject in today’s ever changing world. As of September 2014, our school follows the National Curriculum 2014 for Maths, with each Year group following their Programme of Study. We deliver the requirements of the new National Curriculum, using problem solving and investigation as a way of learning new concepts and deepening understanding. Please ask your child’s teacher, should you require more information. You will also find more information in the Curriculum Maps, which you will find on your class page, and are also sent via email each term.